They can take a novice and have him catching trout in no time! 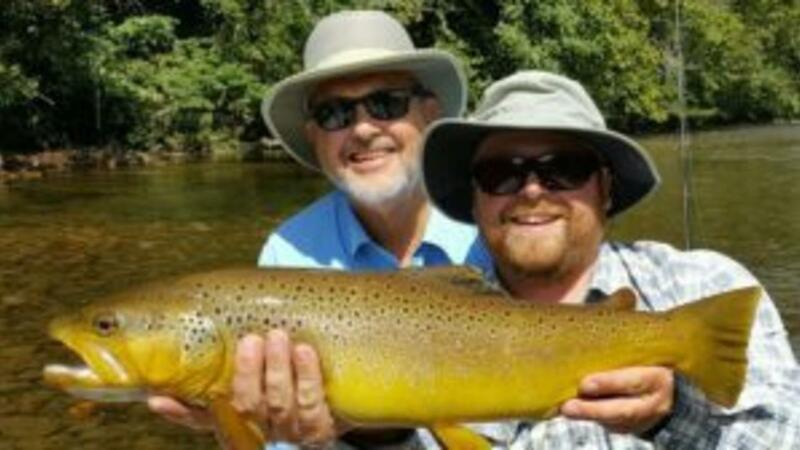 Lodging will be close to where we launch and minutes from casting your fly! Lodging is included in fees. There will be two men per spacious room. We will be staying at Watauga River Lodge. Fireside chats each evening after dinner! We will be discussing Dr. Brene Brown's book "Rising Strong" and vision casting. Limited to the First ten Men to Register! There is only room for twelve men on this adventure. This is a peak season for the caddis fly hatch so availability is limited. There will be a guide per boat, we will be drift fishing with two men per boat. No experience is needed. The guides specialize in working with beginners and supply necessary gear for the trip. NO ONE WILL BE DISAPPOINTED WITH THIS ADVENTURE!